Paul Mooney said it best, “this young lady has the IT factor.” You might have recently seen this funny lady on The Mo’Nique Show on BET. Or perhaps you’ve checked her out on BETJ’s My Two Cents, Dr. Oz, The Mike & Juliet Show on FOX, WEtv’s Cinematherapy and ComedyCentral.com doing one major thing: cracking people up! Del Harrison or as most people know her, DEL, is quick-witted, honest and a breath of fresh air on stage…and that’s not all. DEL is versatile lady. In 2009-2010, she was host and segment producer on The Next Level TV Show on MNN and NV Magazine’s WebTV segment NV on the Streets. In addition to performing all over the country, DEL produces and stars in Another Sketch Comedy Show, an online sketch comedy she created which has been showcased on BET, BET.com, VH1Access.net Sister2SisterMagazine.com, WorldStarHipHop.com, MediaTakeOut.com and so many other major websites. It’s no surprise that DEL’s doing big things though. In 2005, with only 8 months as standup comedian, DEL was voted one of the Best of New Faces at Jamie Foxx’s Laffapalooza Comedy Festival. That led to her television debut as a standup comedian on Robert Towsend’s Partners in Crime: The Next Generation in 2006 on The Black Family Channel. 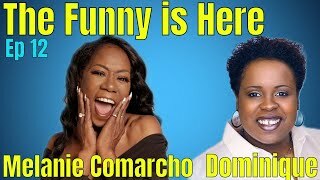 Since then, DEL has kept the momentum going hosting the New York Underground Comedy Festival, guest-hosting on XM Radio, scoring a supporting role in What A Difference, an award-winning, independent feature film and just recently made her very funny stage play debut in After the Walk with Singer Kelly Price. We could go on & on, but we suggest you see for yourself at www.DelHarrison.comDEL HARRISON is THE performer to look out for!